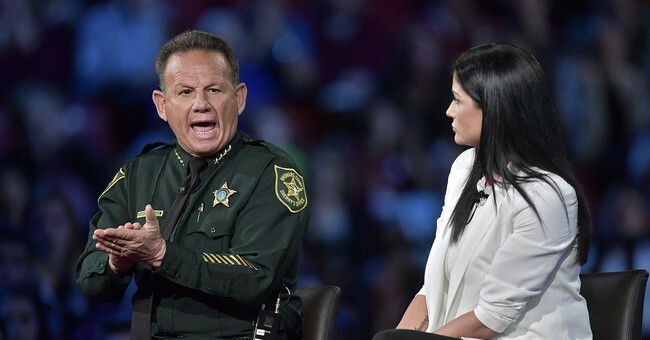 Today on CNN’s State of the Union, Broward County Sheriff Scott Israel slammed critics who have called for his resignation due to a massive failure on the police department’s part to take proactive measures that could have prevented the Marjory Stoneman Douglas High School Shooting which lead to 17 innocent Americans being killed. "What’s your response and will you resign?," Tapper asked. “It was a shame- Of course, I won’t resign,” the sheriff responded with a defensive tone of annoyance. “It was a shameful letter. It was politically motivated. I never met that man,he doesn’t know anything about me and the letter was full of misinformation. I wrote a letter back to the governor, I talked about all the mistakes that Hager made in his letter. It was a shameful, politically motivated letter, that had no facts and of course I won’t resign," he continued. The fact that Rep. Hager has never met Sheriff Israel makes little to no difference in this story. Broward County’s Sheriff Department deputies visited the school shooter's home 39 times.There were 18 calls to the police from individuals fearful that the individual in question would one day actually shoot up a school. One of those calls was heard by Deputy Scot Peterson. As Matt noted, "Peterson was the officer who waited outside of the building and failed to engage Cruz on the day of the shooting. The shooting lasted six minutes; Peterson remained idle for four minutes. He has since resigned after video footage caught him doing nothing as the rampage occurred at the school." In any organization, leadership starts from the top. All of those facts indicate a serious failure of leadership by Sheriff Israel to protect and defend the public against an obvious threat to society. Yet, when asked about it, Sheriff Israel abdicated all responsibility. Most Americans hearing that would be dumbfounded by such an arrogant statement and at a loss for words. But leave it to Townhall's own Katie Pavlich to find the perfect word to succinctly summarize Sheriff Israel. to the county and in the Parkland case overall. Delusional. It may not have been Sheriff Israel's fault that the deputy did not go in to the school sooner. It may not have been his fault that the school shooter did not get the help he needed earlier in life. It surely was not his fault that the shooter pulled the trigger. But it is his responsibility to know exactly what is going on in his department and to train his deputies to be prepared at all times, to follow through on all threats to the public, and to protect innocents by making sure menaces to society are not in positions where they can actually hurt law-abiding citizens.